Like many women undergoing cancer treatment, Bundaberg resident Helena Adams was concerned about losing her hair. But a complementary therapy that limits hair loss in patients receiving chemotherapy has been made available in the northern Queensland regional centre for the first time. The Paxman Scalp Cooling System works to reduce the temperature of the scalp immediately before, during and after chemotherapy treatment. This reduces the blood flow to hair follicles, which can prevent or minimise hair loss. 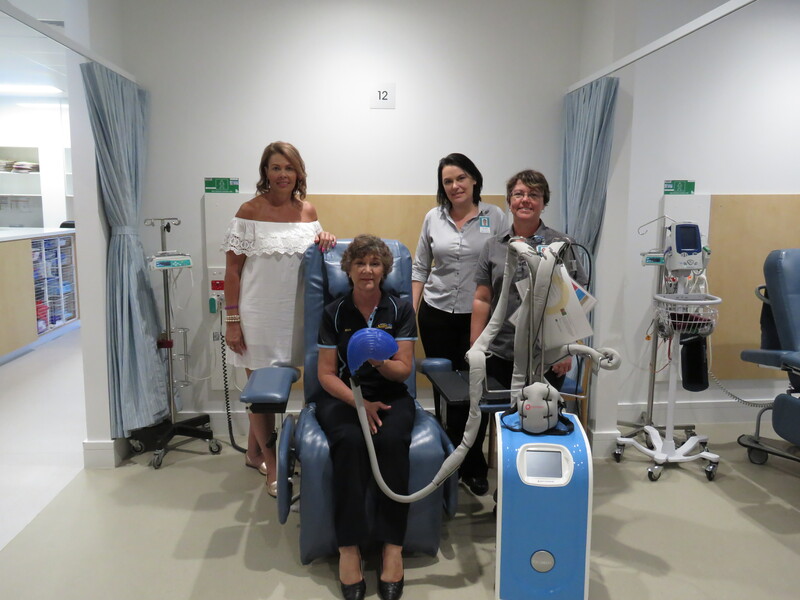 The Friendlies Foundation – the charitable fundraising arm of the Friendly Society Private Hospital in Bundaberg – purchased the $50,000 scalp cooling machine and Mrs Adams was the first patient to make use of the technology. “When I turned up for my first treatment, Dr Jain said actually, The Friendlies had a new machine that had arrived the day before,” she said. Mrs Adams said that, a business owner, preventing hair loss gave her the comfort of choosing who to tell about her treatment. Scalp cooling is a simple treatment that can prevent hair loss caused by certain chemotherapy drugs. The use of scalp cooling or ‘cold caps’ has been proved to be an effective way of combating hair loss. Nurse Unit Manager of Day Oncology, DA Halpin, said it was great to be able to offer the scalp cooling technology at a local level. The Friendlies Foundation public relations officer, Tunja Cottier, said the foundation would continue to support the Friendly Society Private Hospital as it worked to provide oncology services locally.